Everybody has ever heard heard about this type of fish in their lifetime, and some have even get to see them in flesh (though little) and bone. Throughout history, the sea-horse has been a symbol of fortune and inspiration of many legends. Also known as Hippocampus sp, it belongs to the family of syngnathids and it is an inoffensive fish of small dimensions, varying from 1 to 30 centimeters in length. This amazing fish has many curious characteristics, such as, it is the male who gets pregnant and gives birth to the young, or the fact that out of each birth comes around 1800 offspring but only 9 of them survive. They are the slowest creatures in the ocean, swimming 1.5 meters per hour in spite of waving its fin 35 times per second. 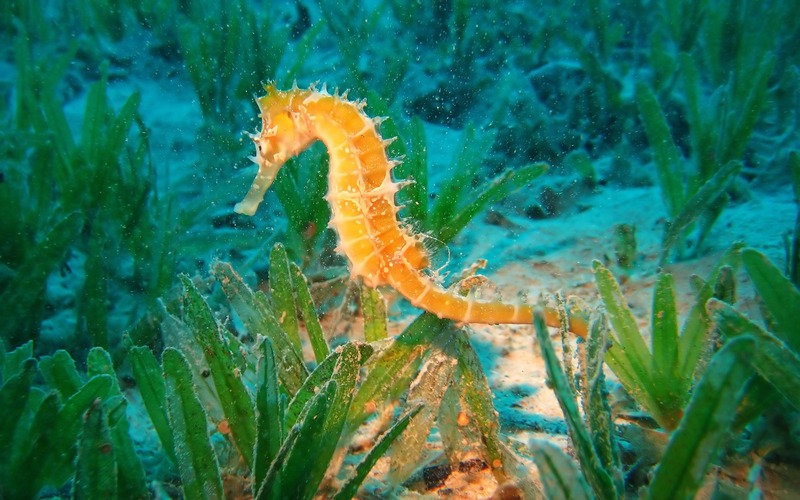 In the balearic waters there are two type/sorts of sea-horse, the Hippocampus Hippocampus and the Hippocampus Guttulatus. Both species are sedimentary and live anchored in the prairie of Oceanic Posidonia or Cymodocea nodosa, to a 25 meters’ depth. They can be totally immobile for a long time, as much as it is possible to observe in their body a deposit of sediments. 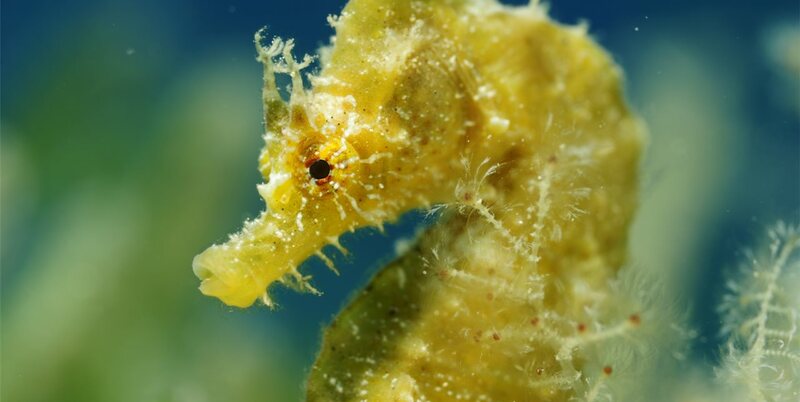 Sea horses were abundant a few decades ago in the waters of Ibiza and Formentera on the prairies of Posidonia, but nowadays are becoming rarer and harder to find because such a singular species has been the target of very lucrative businesses who have threatened their survival. This is the reason why many projects and investigations have been carried out to avoid this tragedy. From Smooth, we put at your disposal/service, buoys to prevent the damage to this prairies /meadows of Posidonia and save this singular species such as the sea horse.